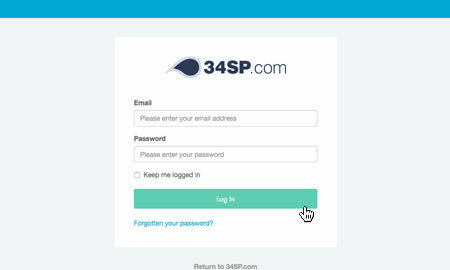 This is a quick step-by-step walkthrough for setting up recurring billing via the 34SP.com Control Panel. 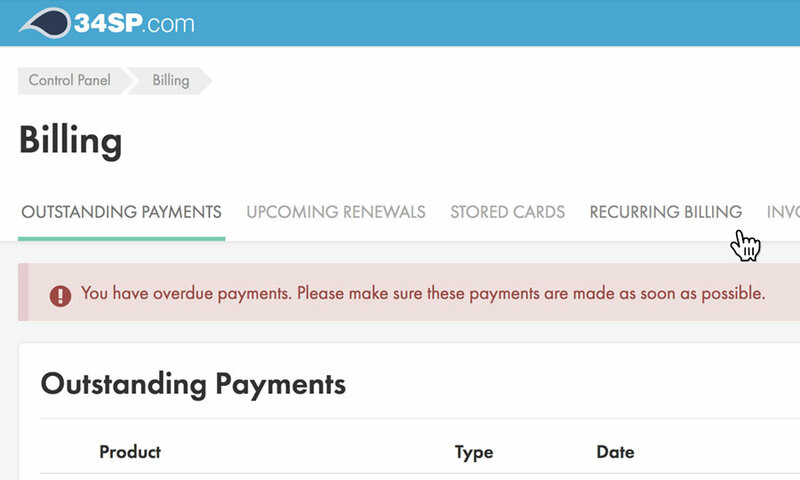 Setting up recurring billing means that any month-to-month and annual fees will be automatically charged to a credit/debit card of your choice, rather than requiring you to make each payment manually. Please note: If you do not have a credit or debit card already stored for use with recurring billing, you will need to set one up. Please see 'How to add and delete stored credit cards' for more details. 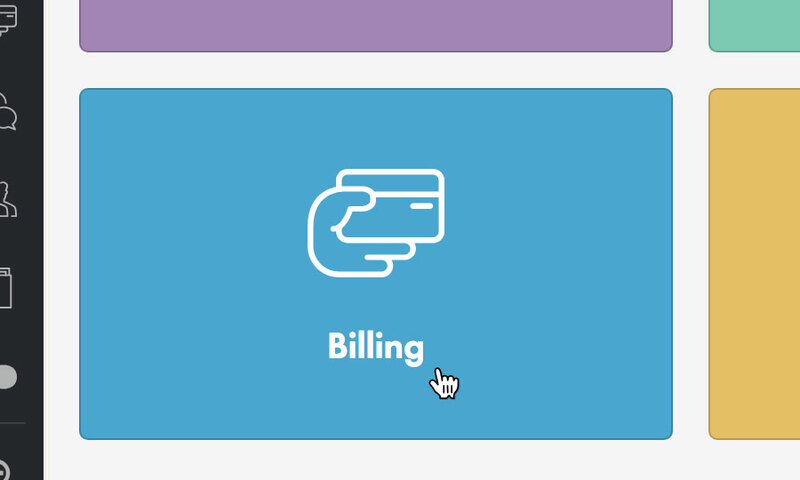 When viewing the Billing page, just click on the tab labelled 'Recurring Billing'. 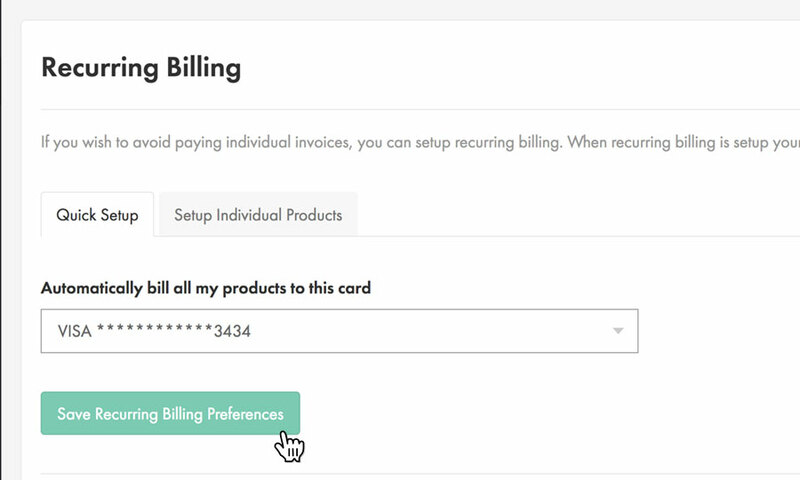 To setup recurring billing on all your products, simple choose the credit/debit card you wish to be billed from the drop down menu. 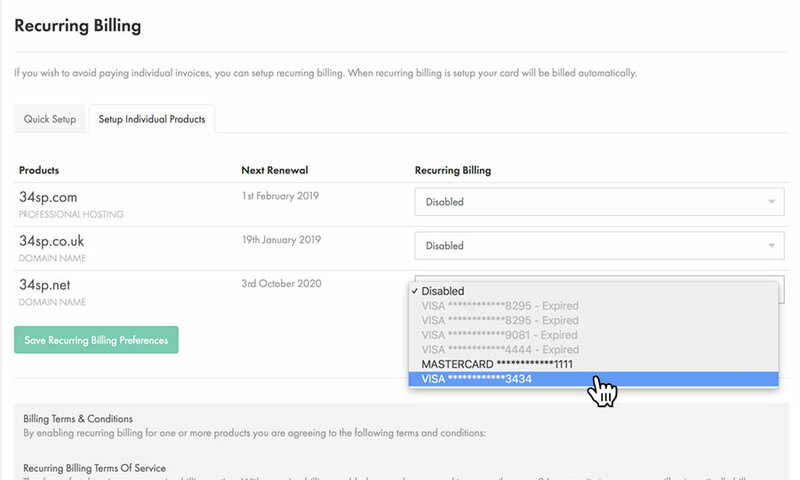 If you do not want to have recurring billing on any of your products, choose 'Disabled' from the drop down menu. To save your changes just click on the button labelled 'Save Recurring Billing Preferences'. Once these steps have been completed, you will have set your recurring billing preferences. 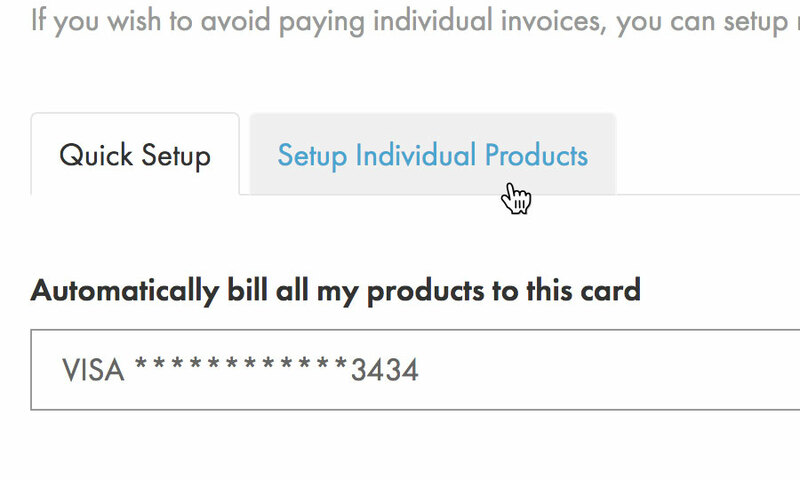 If you wish to have individual products billed to different credit/debit cards, or if you wish to have some products on recurring billing and some not, you can do so by clicking on the text that reads 'Setup billing for my products individually'. This brings up a list of all your billable products, with a 'Recurring Billing' drop down menu next to each product. Simply choose which products you want to setup, and choose the relevant credit/debit card from the drop down. If you don't want to have recurring billing on a particular product, simply choose 'Disabled' from the associated drop down menu.